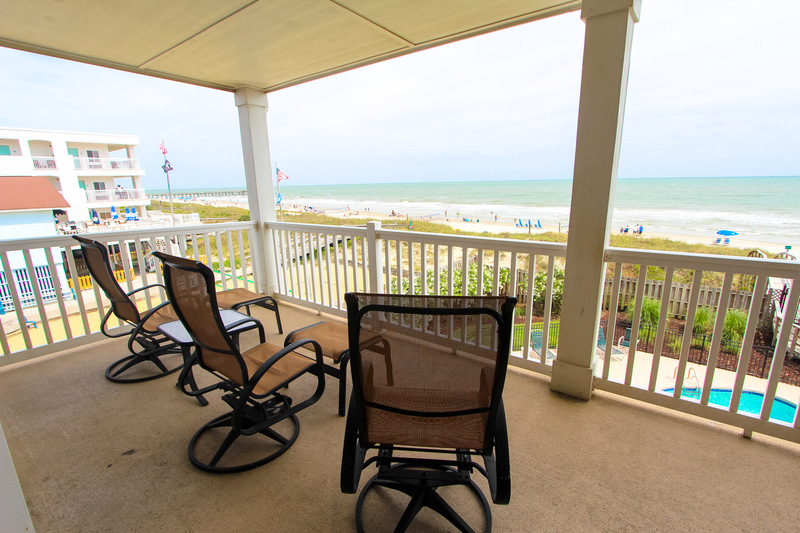 Breathtaking views of the ocean and pool from this beautiful condo in the heart of Isle of Palms. 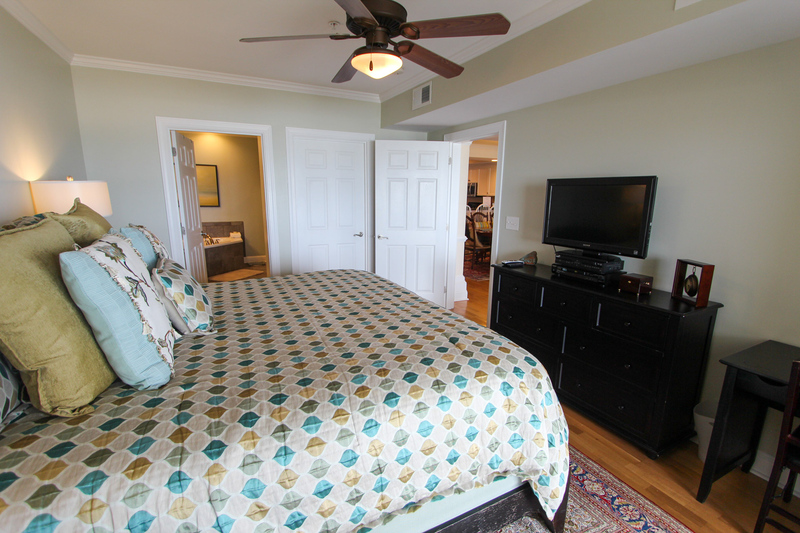 Tastefully decorated with wonderful furniture, hardwood floors, granite countertops, HDTVs in every bedroom and living room, Cable, HBO, DVD, wireless internet & more! 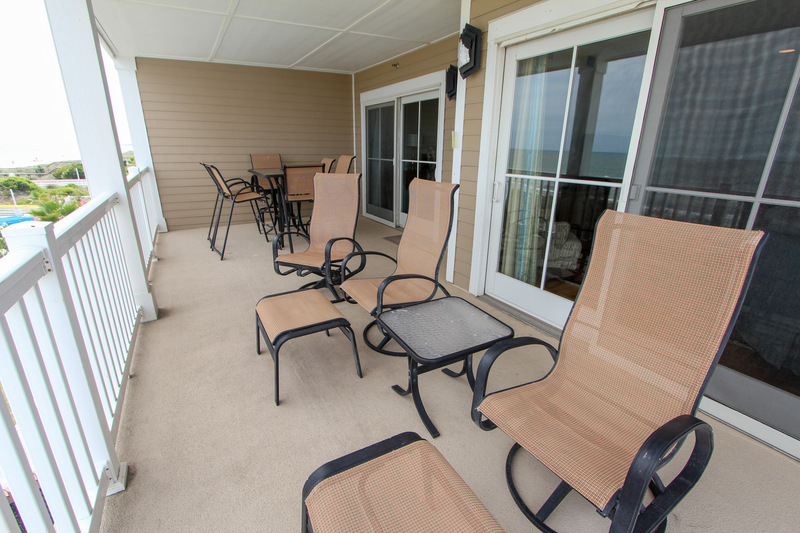 Easy beach access and walking distance to shopping and restaurants. Large patio for entertaining, Beautiful kitchen with steel appliances and granite countertops perfect for cooking and entertaining. Next door to Windjammer Beach Club. Outdoor live music possible on Saturdays and Sundays. Linens Included. No Smoking. Please be so kind to store your bikes under the stairwell on the drive-in/entrance side of the garage or in the beach storage closets. Please remove bikes from in front of electrical meters, in garage. Stairs and elevator to first and second floors. 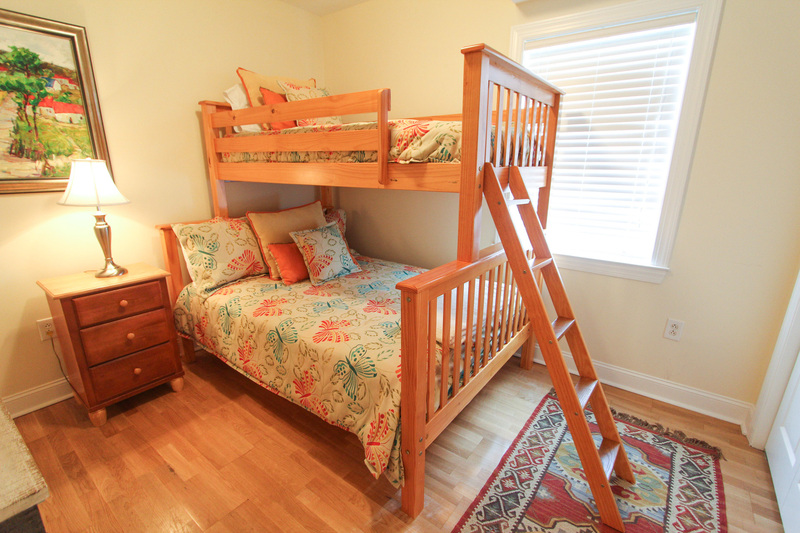 Bedroom 1: Pyramid bunk, Double bottom,Twin top; Shares full bath with hall; TV/DVD. Bedroom 3: King; Full private bath (Jacuzzi tub and stand alone shower); TV/DVD. 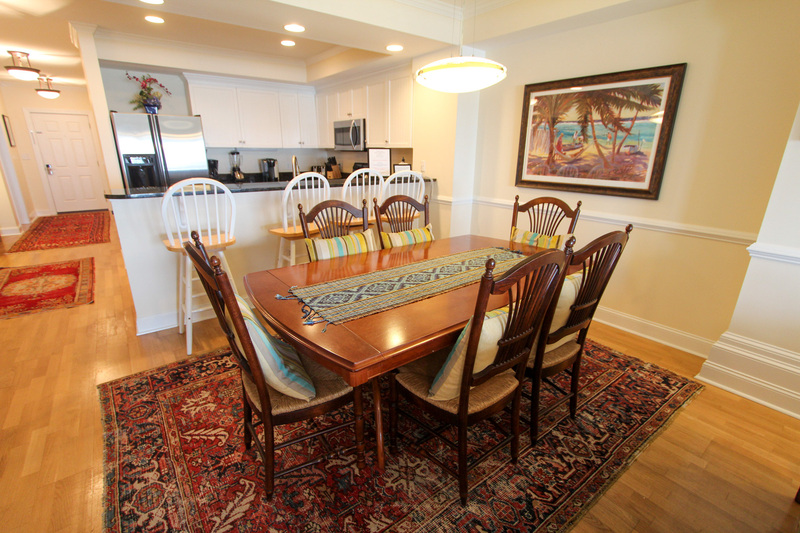 Dining area: seats 6 w/ 4 additional bar stools. 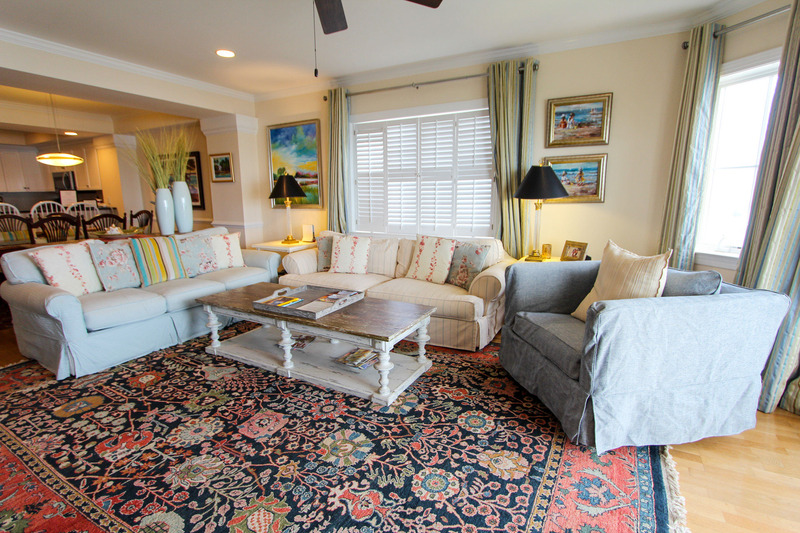 *This is a Saturday-Saturday rental from 6/1/19 to 8/24/19; 3 night minimum in off season**During times of promotion, this property does not offer discounts. * Please note that there is a strict 2 vehicle capacity per unit. The condo and location was great, we had a lovely time, would rent this property again . Hi Rose, Thank you for taking the time to write a review. I'm so happy you enjoyed your time at the condo and we look forward to seeing you again soon! 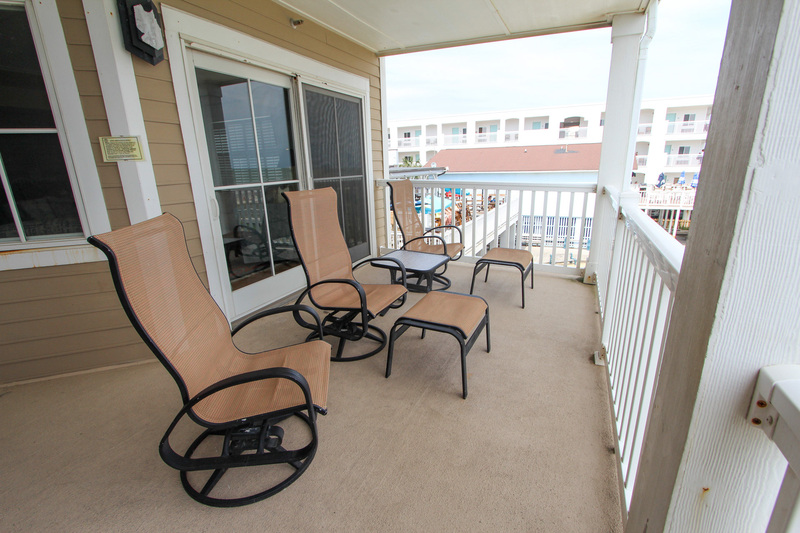 Great location, nice ocean view.The overall condition of the unit was good. The cleaning crew could've done a better job. Lots of dust in some places; freezer wasn't very clean, i.e. dirty ice and some food particles. Dishwasher needs to be replaced-top rack doesn't work properly and door doesn't shut very well. Some light bulbs burned out, etc. Thank you for taking the time to write a review. We have shared your concerns with the owner and with the appropriate departments. The owner has made several updates. We look forward to having you back as a guest of Island Realty. A wonderful time with most of our children present. The weather was not a factor and did not put a damper on what we experienced. The Lord blessed us and the laughter we shared was just what we needed. Thank you for taking the time leave a review. We are so happy you were able to create some great memories with the family and hope that you will all be back to stay with us soon. Hopefully, the weather behaves better! Thank you for taking the time to leave a review. We look forward to having you back with us soon! The owner has made several updates. Two days were wonderful - then evacuated due to Hurricane Florence. We would definitely try it again! Thank you for taking the time to leave a review. We look forward to have you stay with us again soon and please don't hesitate to call us and have us help you plan your vacation. Our weekend was great. Beautiful view of ocean and condo was so beautifully decorated. Would stay there 100 more times. Everything was in walking distance. Thank you for taking the time to write a review. We are so glad that you had a good vacation and really look forward to having you back with us soon. IT was a perfect week. The condo was well equipped and decorated with taste. The location super convenient with a inviting view of the ocean. Definitely an experience to repeat in the future. Best location on IOP. Our favorite nonpet place to stay. Very clean and furnished with very cozy furniture. Great view of sunrise and you can walk to everything. Everything about Dunescape was perfect for our family. Ocean views, easy walk to food and shops, very, very clean. Extremely well maintained. If I had any downside (and it is laughable) a couple more hangers in the closet would be nifty. We will be back! We loved the place! The condo is exactly as pictured. It is spacious, beautifully appointed and is stocked with everything you need. The view from the living area and master are fabulous. The ocean front location was perfect for our December stay. I would love to stay in this unit again during the fall or winter. It is located next door to a bar so I fear it may be too noisy for us during the busy summer season. The cook ware needs to be replaced and was limited. When we arrived there was a lot of sand on the Carpets and we vacuumed. This is my favorite location and the unit is very comfortable. We had a lovely visit. Although one of us had to sleep inthe "children's room" the space overall was just right. The master bedroom and bath are huge. The entire condo is nicely decorated. The kitchen is quite well-equipped which was very much appreciated for our Thanksgiving preparations. In the off season, there was no problem with. Lise from the Windjammer right next door. 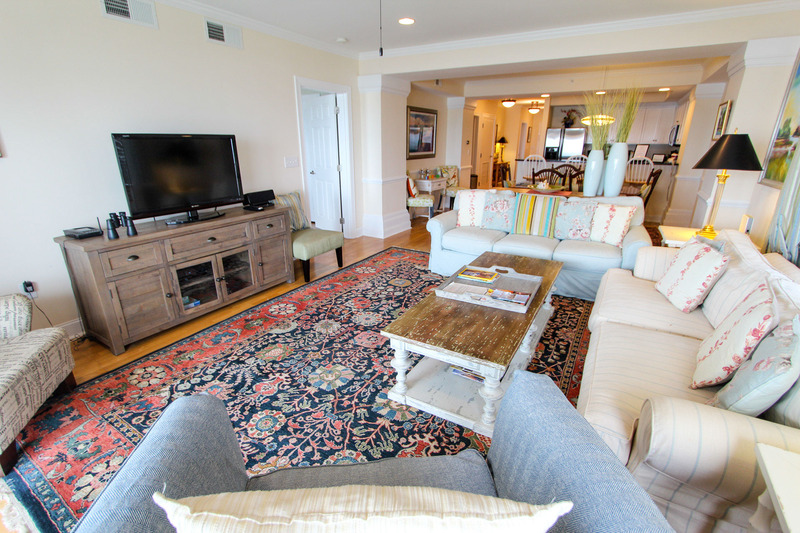 We loved the location, use of space, proximity to the beach, wide open floor plan and the elevator availability! My husband is in a wheelchair so this was the perfect place for us. We had an absolute blast and wish we could have stayed longer. We will definitely be back next year! Very Smooth. Cleanliness was not the greatest. 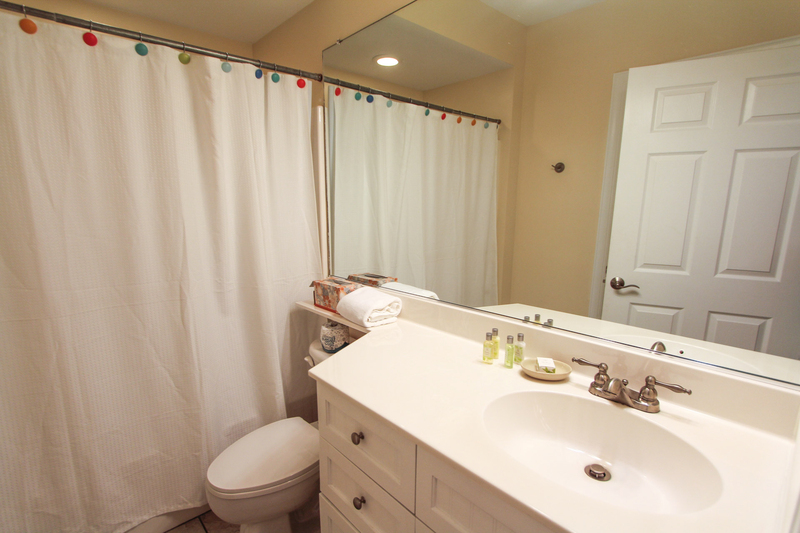 Especially the small hallway bathroom and master closet door and a couple other places were not very clean. In general fine. Have raved about the place in general to many people already. The property's location was great. We enjoyed a beautiful view of the beach. The pool was nice, however closed at 8pm which we found to be a bit early. The Unit was clean, and welcoming. The dishwasher was a bit of a struggle to get working, but that was manageable. The master shower might need a bit of attention.Property management was easy to work with. This is a place we would recommend and possible even return to. The bar next door was fine at night, we enjoyed the music. It was the noise from there volleyball court early in the morning when we were on the balcony wanting to enjoying the view over coffee. With the exception of parking in the area, this was a great fit for out family which came both from Atlanta and Richmond. We enjoyed ourselves. The condo was somewhat "shopworn" I thought. Dishwasher was not useable, we couldn't add the soap tablet and couldn't shut the door to run it. Our sliding glass door to balcony was almost impossible to shut. It seemed to be hitting something when it got close to shutting. Everything was just great. Weather was perfect and the location was perfect. Condo was clean and nicely decorated. Great ocean views from this end unit balcony! Only complaint was the noise from the Windjammer next door on Friday & Saturday nights. The condo was lovely and clean and furnished so comfortably. It was so easy to go from the beach to the pool. My husband who is disabled enjoyed the high chairs on the balcony and spent many hours watching the grandchildren and the ships moving in and out of the harbor. We had no problems. The location was great, the balcony over looked the beach/ocean. The condo was well maintained and equipped. This was our fourth time coming to Isle of Palms and renting from Island Realty; first time staying at Dunescape. As always, the Island Realty staff were professional and friendly. There were no issues with the condo and the layout/view were amazing. The one downside was the property description said you may get music from the Windjammer on Saturdays and Sundays...I think there was maybe one or two nights during our stay that there wasn't music next door. The property was in a great location and gave us beautiful views of the ocean. The overall condition of the furniture was average. I was disappointed in the cleanliness of the entire unit, the kitchen especially. It was obvious that the cleaning staff did not inspect the dishes and bakeware in the cabinets. There also were a very limited amount of glassware. The unit is very well furnished, it just needs a good deep cleaning. The toaster did not work, but the Island staff promptly replaced that. Thank you for your feedback! I will certainly share your feedback with the housekeeping staff and ensure that the items you noted are taken care of. I hope you enjoyed your vacation on the Isle of Palms! The condo was beautiful. The location was perfect. Pool area and grounds were clean and well maintained. Very poor housekeeping though. 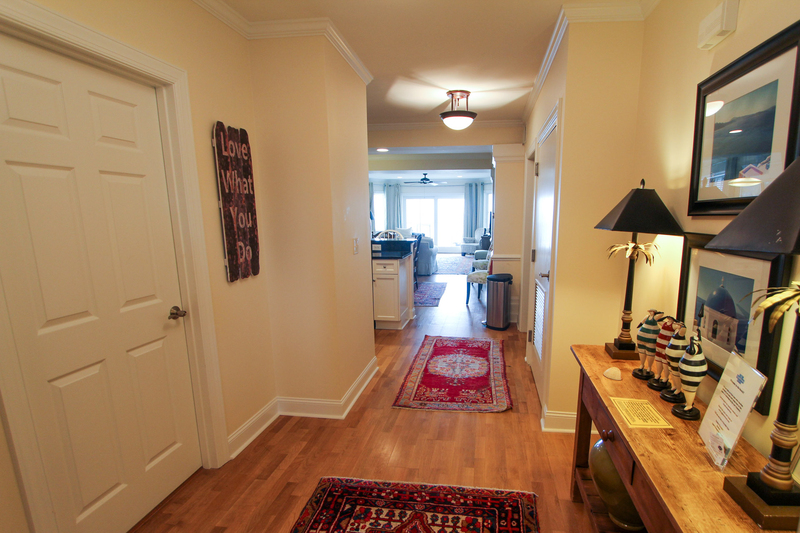 When we arrived it looked like the floors and rugs hadn't even been swept/vacuumed. There was dirt in the bathroom corners of the floor and sand underneath one of the bedroom rugs. Recommend auditing your current housekeeping staffs work. This was disappointing because we were concerned about the cleanliness of the rest of the unit (bathrooms, etc.). Other than that, it was a perfect vacation. IOP is awesome. Loved hearing the music from the Dinghy and Coconut Joe's in the evenings. Made you feel like you were on a tropical island in the Caribbean. A lot of great shopping not far away and close to beautiful Charleston and other islands. Love, love, love this place. Will definitely come back next year...for longer though! Thank you! I am so glad to hear you enjoyed your vacation and Isle of Palms! Thank you for your feedback. This condo has a private housekeeping service so I will be sure to relay all of this information. Occasionally and for various reasons things are missed or overlooked so please know that we are here to remedy any misstep that occurs. Do not hesitate to call! Thank you for choosing Island Realty! Hope to see you again in the future! Had a great weeks unit so roomy and our grandsons 10 & 7 were in heaven. Even though weather was disappointing loved our stay. The only things we had a problem with was the TV - satellite download & Ice dispenser on the refrigerator did not work. location next to windjammer not for everybody, but the activity and extra noise did not bother us since we were in for bridge run and not on vacation for a week. We're familiar w/ area so we knew where we were going to be and like ro be in the middle of things. (others may not) Feel free to send listings of any props or condos for sale, and foreclosures, up to 800,000. We have stayed in beach houses and condo’s all over the country and this is, by far, the nicest and cleanest yet. The owner has done a beautiful job with the decorating and everything is well stocked and in working order. The grounds and public areas are beautiful and the view from the porch and the living room is spectacular. The beach on this part of Isle of Palms is in great condition and I suspect it could get a little crowed in peak season. Bring along a young person to help you operate the entertainment system and have a great time at 201 Dunescape.